When an employer learns of allegations of misconduct against an employee, those allegations need to be investigated. When the employee is in a sensitive position, such as a teacher, it’s important for the employer to act fast. However, speed can’t be a substitute for quality, and an employer who doesn’t properly investigate allegations of misconduct against an employee can find itself on the receiving end of criticism and accusations. 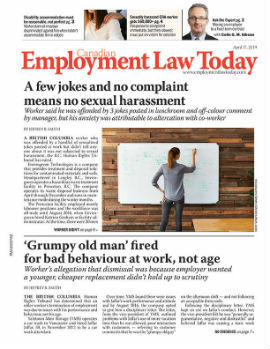 An Ontario teacher has been awarded $20,000 for what an arbitrator called a “deliberate and prolonged campaign” of harassment to get her fired by her school board.